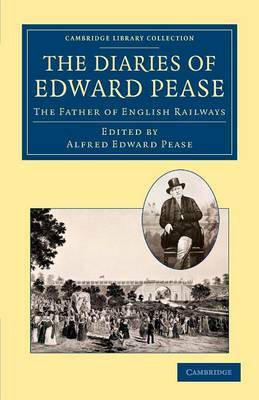 Edward Pease (1767-1858), who left behind extensive diaries for the years 1824-57, was dubbed the 'father of English railways' thanks to his backing of the Stockton and Darlington Railway, which began operating in 1825. A prominent Quaker and woollen manufacturer in Darlington, Pease famously recruited George Stephenson (1781-1848) as the line's engineer. His great-grandson Sir Alfred Pease (1857-1939) edited these diaries for private circulation only, but was persuaded to publish them in 1907. The work includes an introductory essay on Quakerism and biographical sketches of Pease and his wife Rachel. The diaries themselves reveal, as the editor mentions in his preface, a life devoted to public and private good works. The appendices include a variety of Quaker texts and other material relating to the Pease family and the founding of the railways.